Country music maverick Chase Rice made a bold move when he decided to launch his fall tour in a market he had only played once before as support for Kenny Chesney on The Big Revival Tour. 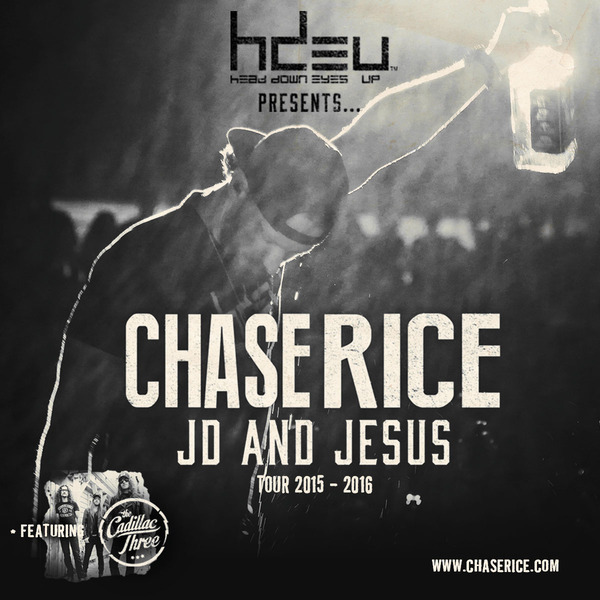 But as USA Today noted early on, Chase is an artist who “knows his audience” and that proved true again tonight as 2,300 fans in Pittsburgh filled Stage AE to capacity for the first night of Rice’s JD and Jesus Tour 2015. In addition to The Cadillac Three and Taylor, Chase has tapped a diverse slate of talent to join him on tour. Kelsea Ballerini, Tucker Beathard, Cam, Luke Combs, Jordan Davis and Haley Georgia are also set to perform at select dates. Fans can enter to win a round trip and VIP admission for two to Chase’s November 12 show at The Tabernacle in Atlanta, Ga., courtesy of Shazam and Head Down Eyes Up. For more details, or to enter the sweepstakes, click here. Can we get a date in Maine please??? ?